Kate Conlon is a Chicago-based artist whose work usually begins with an earnest attempt to figure something out and invariably ends in a mess of paradox, incongruence, and doubt. Conlon’s work has been exhibited at venues including MANA Contemporary Chicago, The Grand Rapids Art Museum, the Terrain Biennial, and Museu do Douro in Portugal. She recently released DL-44: In Pursuit of the Perfect Replica, a work of non-fiction published by Third Object Press. Conlon has received grants and residencies from Kala Art Institute, ACRE, and Haystack Mountain School of Crafts. 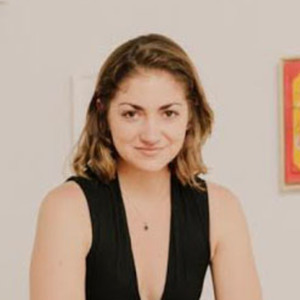 She is a founder of Fernwey Gallery and served as director of Fernwey Editions, an independent publishing house that collaborated with artists on limited edition prints and multiples from 2014-2018. She currently teaches in the Printmedia departments of SAIC and Columbia College Chicago. Kate Conlon has been a guest on 1 episode.